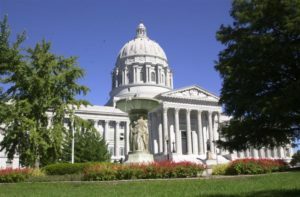 Missouri lawmakers are looking at legislation which reduces corporate taxes, while also doing away with a number of tax credits. The measure would cost the state $97 million in lost revenue from corporate taxes while saving $149 million through the elimination of credits. It makes significantly less money available for tax credits which cover low income housing, historic preservation and senior citizen property taxes. Senate Republican Andrew Koenig of Manchester claims the state is giving up far too much money in tax credits. Koenig also claims the tax credits violate the state’s constitution by allowing government to manipulate the market and force higher taxes on other businesses. He contends four companies have received $293 in tax credits dating back to 2009. The Senate Ways and Means Committee is considering Koenig’s proposal, known as S.B. 285. Among the groups testifying in favor of its passage at a recent hearing were Americans for Prosperity, a conservative think tank, as well as the pro-free market Show-Me Institute, which was founded in 2005 by Rex Sinquefield, a St. Louis based financial executive who has been a major contributor to political campaigns. The Show-Me Institute’s Patrick Ishmael thinks the proposal is well crafted. Catherine Edwards with the Missouri Association of Area Agencies on Aging says the measure, by doing away with the senior citizen renters’ property tax credit – also known as “circuit breaker” – would place vulnerable people at risk. Repealing the senior citizen renters’ property tax credit would save the state roughly $52 million per year. Also testifying against the measure was Mike Sutherland with the Missouri Policy Project. He also takes issue with the bill’s elimination of property tax credits for senior citizens who rent. “It doesn’t seem logical that seniors in our state, specifically seniors who rent in our state, will be paying for a decrease in the corporate income tax rate” said Sutherland. The proposal would decrease corporate taxes from the current rate of 6 ¼ percent to four percent over four years. 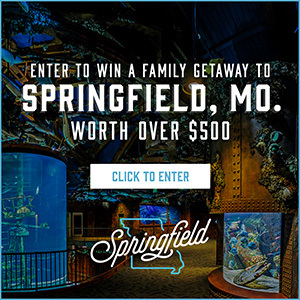 During his campaign for head of state, Governor Greitens took aim at two tax credit programs – historic preservation and low income housing. In his State of the State address, he announced he’d oversee a complete audit of Missouri’s tax credit system, and recently signed an executive order to form a committee to review tax credits. Six bills dealing tax credits are moving through the legislature – three in the Senate and three in the House..